This frosted glass wash basin is 440mm diameter x 135mm high and is a stylish addition to any bathroom. The price shown includes the free flow waste. 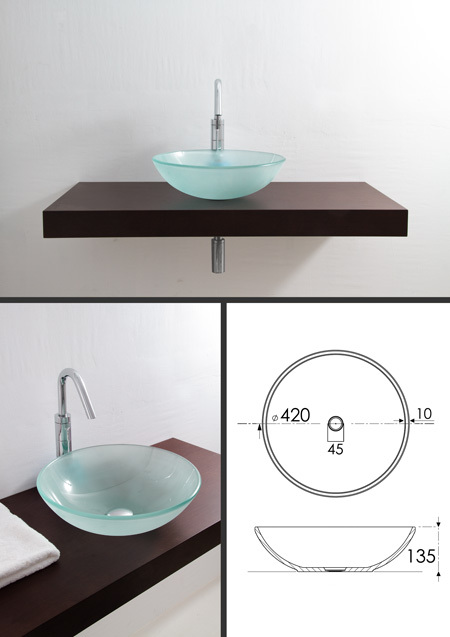 * Counter top glass basin.